Ever wondered what a tour yardage book looks like? Here’s mine from the KitchenAid Senior PGA Championship while on the bag for Swiss PGA European Senior Tour player Andre Bossert! The first left-handed Sterling Irons® sets should be in stock in around 10 days or on roughly the 29th of May! ATTENTION LEFTIES: The first left-handed Sterling Irons® sets should be in stock in around 10 days or on roughly the 29th of May! Look at that great contact! Haha, can you believe that this happened in Sterling Heights of all places??? “Was fitted for my Sterling Irons® 5-SW last fall. At that time we filled the gap to my new 929 4-wood with a Wishon Golf 775 4H. Played it at the end of last year until last week. Monday I went back to Gary Cottrell for a driver fitting; asked about the 4-iron as I like the idea of keeping as much of my bag as possible one length. After a bit of testing, Gary thought it might be a good fit; said it would be ready Saturday. I asked if he could get finished by Wednesday as my league is Thursday; he did. Last night on the 176-yard 2nd hole of Rammler Golf Club, I got my first hole-in-one with that 4-iron picked up the night before! 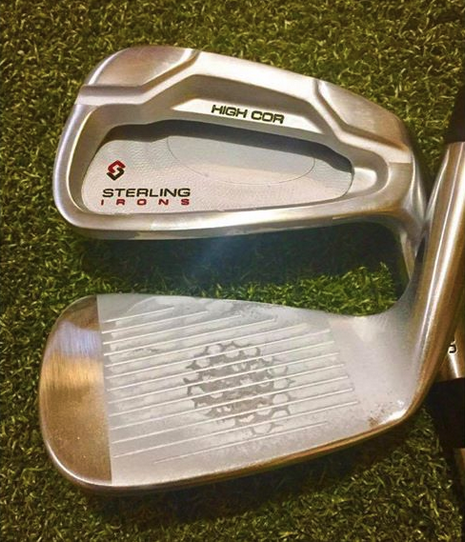 I’m 51; have been playing since I was 14; my Sterling Irons are by far my favorite set of all time…. ; not just because of the ace (but that didn’t hurt). 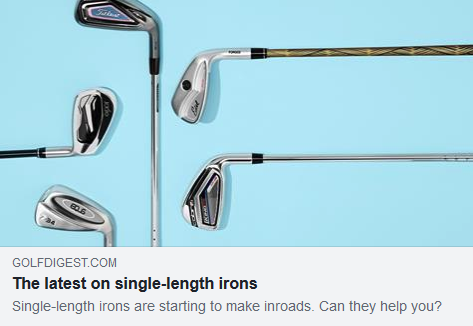 Single-length irons are starting to make inroads. Can they help you? On the fence about trying #sterlingirons #singlelengthirons? We’ve got a 90-day Money Back Guarantee! “My one-year anniversary of using Sterling Irons® is coming up soon. I love these clubs more every time I use them. Yesterday I hit 8 out of 9 greens in regulation and the one I missed was on the fringe. I’m currently playing 4I through LW at single length (the LW is from a different vendor while I wait for Tom’s to become available). I have done bake-offs between my Sterlings w/S2S white shafts versus various high-end irons from Mizuno, Titleist, Srixon, etc.